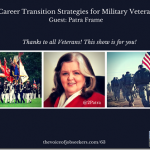 There’s a laundry list of things to think about as you transition to the civilian job market and close that gap. You’ll get advice (solicited and unsolicited) from a variety of perspectives that have varying degrees of reliability. 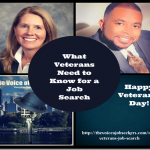 I’m going to focus on one critical factor — from the hiring manager’s perspective—that I have seen most veterans struggle with returning to the civilian job market: relating how daily military tasks and duties translate to marketable civilian skills that hiring managers want. · Which industries could best benefit from my training and experience? · What kind of work am I best qualified for within those industries? · What kind of work do I want to do? How well does it align with my skills, knowledge, and experience? · Do I want or need to go back to school first to finish that degree, get an advanced degree, or do I have to just pursue certification or a trade license? · Will I have to move to improve my chances of getting hired in one of those industries? Which areas of the country have a better employment scenario, lower cost of living, cheaper housing that will allow me to be successful? 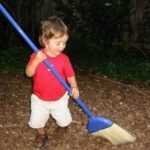 · Tasks and duties: Daily work-related activities that are aligned with a particular job or position. Example: Laborer who distributes stacks of sheetrock into different areas at a building site. · Functional expertise: A series of related and/or peripheral core competencies. Example: A knowledge/expertise in home design, home building, finance, one or more related core competencies (HVAC, carpentry, electrical, plumbing, etc.) would suggest a “general contractor” or “builder” functional expertise. Figure 1 is a simple example of the Task/Duty to Functional Expertise model. Can you have more than one functional expertise area? Absolutely! Though typically one area of functional expertise will be dominant for most people. In my book, Confessions of a Hiring Manager Rev. 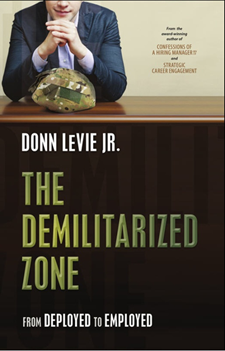 2.0 (Second Edition) I show several specific military examples in the chapter for military veterans where I take duties/skills and translate them to core competencies, and then to functional expertise. 1. What specific skills, knowledge, and experience must I have to perform these military duties, tasks, and responsibilities? 2. How would I classify those skill sets, knowledge, and experience into practical job function categories civilian employers would understand? The following actual examples come from résumés in client organizations. I started by asking the individuals, “ How did this task fit with a higher strategic objective for the organization?” “How did your job fit in with the bigger picture?” For some folks, the question had to be asked in different ways multiple times to extract more information for determining core competencies and functional expertise. Example 1: U.S. Air Force returning veteran (C-130 crew chief) seeking opportunities in private industry (commercial, private airlines). The task as expressed in the original bulleted item becomes a functional expertise that embraces the core competencies of project management, personnel management, aeronautical mechanics, electronics, safety systems, and so on. 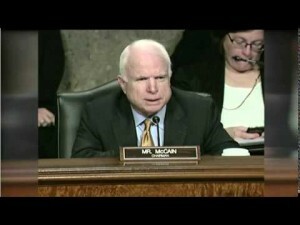 Just by asking more probing questions. Example 2: U.S. Army returning veteran (armored vehicle mechanic) seeking opportunities in private industry (heavy equipment mechanic). Whenever quantitative values for an accomplishment can be included, your stock goes up with hiring managers because they speak the language of numbers (revenues generated, costs avoided, percent improvement, etc.). Place quantitative values in a bold typeface on your résumé to draw the hiring manager’s eye. The very nature of the word “transition” implies a gradual change from one state to another. Any job search should start with the premise that getting hired is all about what the hiring manager needs and wants; getting hired is never about you. It’s always about how the hiring manager will benefit from the future benefits of your expertise. 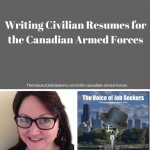 Don’t fall into the trap of using your cover letter as a summary of your résumé (eliminate the military jargon and acronyms); get to the point immediately in your first sentence and don’t state the obvious (“I have enclosed my résumé…”). Show how you can serve as the hiring manager’s “forward observer” through your demonstrated expertise. Former Fortune 500 hiring manager Donn LeVie Jr. is the author of Strategic Career Engagement (September 2015), and the book that reset the rules for successful job and career strategies: Confessions of a Hiring Manager Rev. 2.0 (June 2012, Winner of the 2012 Global eBook Award and Winner of the 2012 International Book Award for Jobs/Careers). His next book, The Demilitarized Zone: From Deployed to Employed will be available later in 2016. 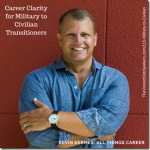 He is a keynote speaker and leads career strategy seminars from the hiring manager’s perspective at conferences, business/trade schools, colleges and universities, and U.S. military veterans organizations. Follow Donn now on Twitter @donnlevie and his blog at http://donnleviejrstrategies.wordpress.com.